One of France’s legendary motor sportsmen, Bernard Consten, died on July 22 at the age of 85. 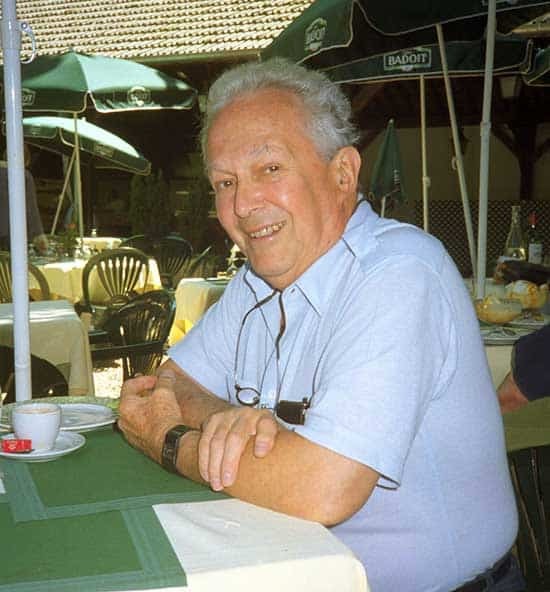 Bernard Consten in Paris in 2002. (Photo: Martin Holmes)In early days many of his successes were on the race tracks, five times winning the (race track and hill climb related) Tour de France with Alfa Romeo and Jaguar. Six times he competed in Le Mans, winning the index of Performances in a DB. He competed even more successfully in rallying. In 1958 he scored outright victories on three of the biggest rallies on the calendar, the Rallye Deutschland, Coupe des Alpes and Liege- Rome -Liege, all with the same Alfa Romeo Giulietta Zagato. He continued in active competition through to the mid-70s, his successes coming almost exclusively as a private driver. His last success was victory for Peugeot in the Rallye du Bandama in Ivory Coast. In 1968 he was elected President of the French federation. His political work came at an interesting time with decisions being taken by the international authorities to develop with world rally championship. In this he worked tirelessly with Cesar Torres and Guy Goutard to shape the structure of the series. A feature and interview on Consten’s 50 Years of Rally Sport was published in the annual Pirelli World Rallying 25 book.